Internal ingestion of radiation from nuclear power accidents is the most dangerous kind of exposure. As you may know the American Medical Association (AMA) recently passed a resolution calling on the US to test seafood for radiation due to Fukushima. However, the Food and Drug Administration (FDA) is currently using a huge radioactive loophole by allowing a 1,200 becquerels per kilogram level of Cesium 134 and 137 in the US food supply. And this is a recommendation, not a binding limit, an important distinction because it means zero protection for US kids from internal contamination from man-made radiation in our food supply. By contrast, Japan allows 100 Bq/Kg or lower in their food supply. It’s highly unlikely they can hold to that standard now due to Fukushima, but under current law Japan is in fact allowed to export to the US at levels 12 times as high or higher than what they allow their own citizens. Also, Korea and Canada and now starting to test their own seafood. The International Physicians for the Prevention of Nuclear War (IPPNW) in Germany is recommending much lower levels for the EU. Fukushima Fallout Awareness Network (FFAN) member groups including Beyond Nuclear, Citizens for Health and Ecological Options Network filed a Citizen Petition with the Food and Drug Administration on March 12, 2013. This is a legal document that requires a response from FDA. If you still need to comment on the FDA Citizen Petition to lower current outrageous recommended levels of radioactive Cesium in our food supply, please see the sample language below and use it as a guide to write your own comments. FDA has stated recently in the press that they don’t feel that there is a need to test Pacific fish for radiation. Please send your comments to FDA today and demand that they do their job! And please remember to sign the companion petition to President Obama, Congress, and FDA Commissioner Margaret Hamburg here. Japan’s nuclear industry and government have lost control (once again) of its ruined nuclear power complex at Fukushima, a site that continues to leak massive quantities of radioactivity into the Pacific Ocean. This is on top of the releases from atomic bomb tests and nuclear power. The AMA has called for testing of Pacific seafood. Canada is going to start testing its salmon in light of an historic low in salmon numbers. Korea has been testing imports from Japan, returning food with small amounts of cesium contamination. Bluefin tuna tested from off of the California coast has been contaminated with Fukushima cesium. The US FDA has a limit twelve times that of Japan at 1200 Bq/kg of cesium. 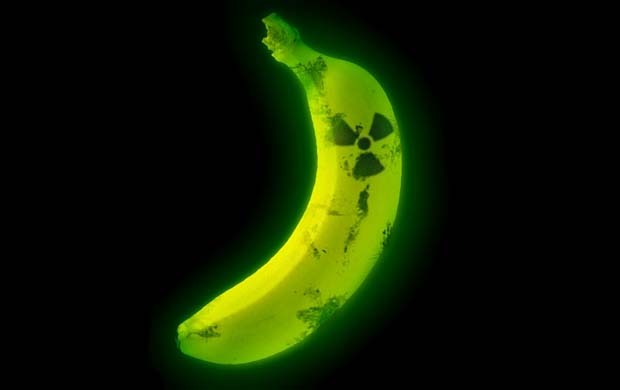 Even with the continuing release of radioactivity into the Pacific, and food testing in other countries, the FDA stated to the press that it still sees no danger from man-made radiation in food even though children are more vulnerable to radiation damage.